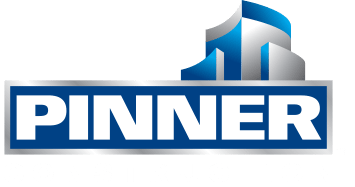 As a Project Administrator with Pinner Construction, you will be working on exciting projects in a variety of market sectors, for a variety of clients, throughout Los Angeles county. As an official Pinner Ambassador, you will be encouraged to participate in and contribute to our culture of excellence, trust and quality. As a valuable member in shaping Pinner Construction’s future, you will aid in the development of adopting innovative processes and techniques in order increase the company’s momentum moving forward. Your primary goal will be to organize, plan and prepare all site logistics. Take the lead on objectives such as the coordination and scheduling of all site activities to ensure superior and efficient results. Coordinate project meetings and record meeting minutes. Perform document control for all physical and electronic documents. Perform receptionist duties for the project by answering phones, taking messages and updating the project calendar. Provide outstanding customer service for all Pinner Construction, Owner, Subcontractors and Design Teams. Act as the project concierge by hosting guests, taking ownership of jobsite trailer organization and pointing people in the right direction for the information they need. Provide technical assistance for the project team. Capture project progress photos to be sent to the Marketing Department. Working knowledge of field practices, procedures, concepts and current knowledge of building codes. Listening and problem-solving skills are critical. Knowledge of Microsoft Suite and Windows Operating Systems.